Fast acting muscle volumizer for after you demolish your workout. 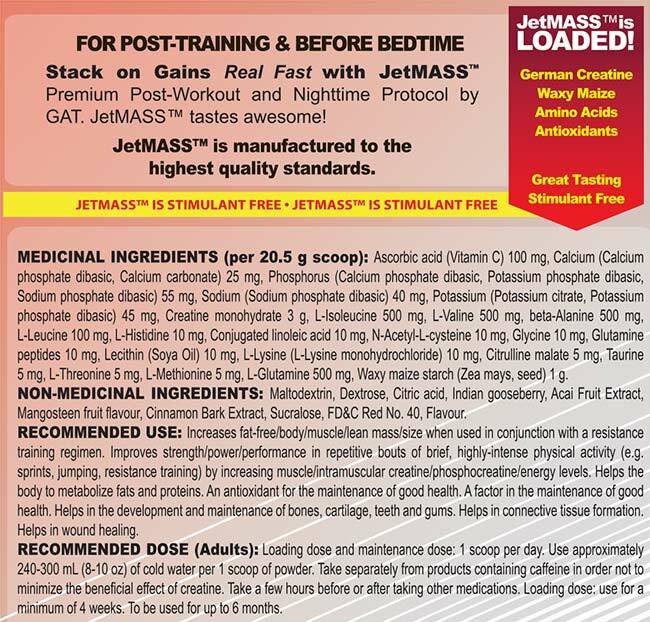 JETMASS ingredient foundation is Creatine to support muscle volumization (noticeable as a “pumped” sensation), increase mass, and improve training performance. And not just cheap Creatine. 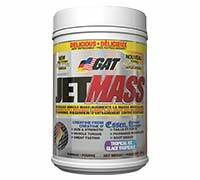 JETMASS contains Creatine (from German creatine monohydrate, creatine gluconate, creatine phosphate, creatine ethyl ester, creatine taurinate, and creatine anhydrous). Waxy maize is included as a source of carbohydrate, Waxy maize supports healthy blood glucose levels. Glucose is the body’s “preferred” fuel and the building block of glycogen. Muscle glycogen is relied on heavily during high-intensity exercise. •“Wow!” delicious flavor that never gets tiring. •Easy to mix and easy on the stomach. No bloating.